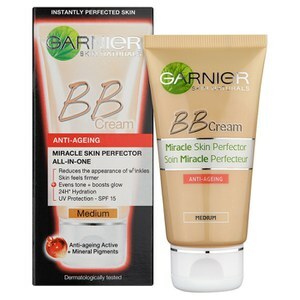 Perfect the look of your skin with Garnier Pure Active Light BB Cream, a mattifying beauty balm that both conceals imperfections and prevents their return. Utilising mineral pigments to instantly blur imperfections, the multi-tasking BB evens out your skin tone and its dose of 2% salicylic acid helps banish blemishes and blackheads for clearer, smoother looking skin. Melting effortlessly into skin with its lightweight, breathable texture, the moisturising cream delivers a beautiful, natural coverage so blemish prone complexions look clear, radiant and balanced. 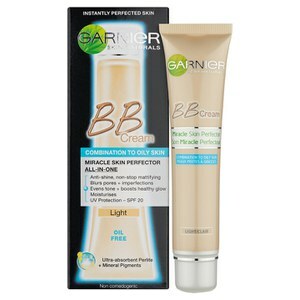 Added SPF 15 helps shield from the damaging consequences of UV rays. - K.N. 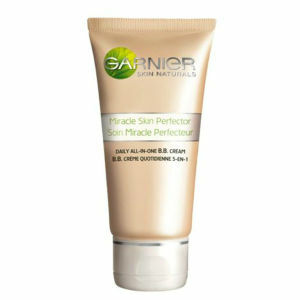 Suitable for combination skin prone to imperfections.